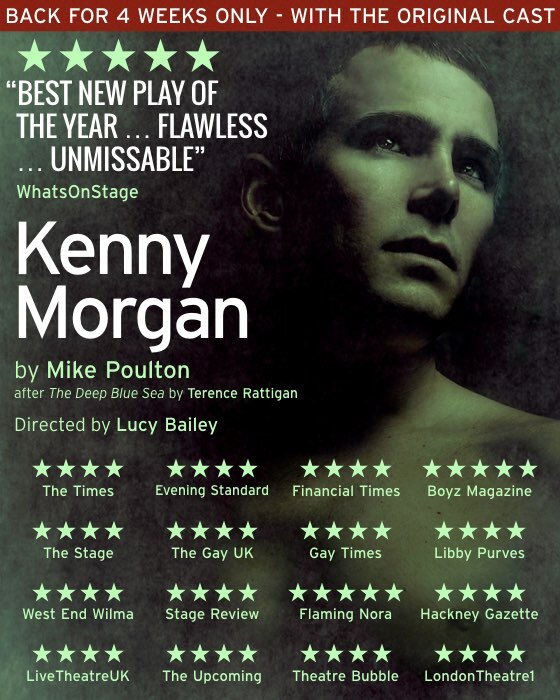 After a sold-out premiere run in May and June 2016 Kenny Morgan is returning to The Arcola in September 2016. The critically-acclaimed new play is the latest drama by Mike Poulton. Set in London in 1949 the play focuses on the closely-guarded secret relationship between playwright Terence Rattigan and his relationship with actor Kenny Morgan. As Kenny Morgan falls into the arms of a younger man passionate emotions rise with tragic consequences. Wednesday matinees on 28 Sep, 5 Oct and 12 Oct.
Saturday matinees on 24 Sep, 1 Oct and 15 Oct.